Douglas Elliman came to us at a critical inflection point. Long the premier high-end real estate voice in New York, their desire for growth fueled national aspirations. To reach an exclusive clientele we positioned Elliman as the knowledgeable and authoritative voice among a raft of lifestyle-focused competitors. It proved a smart move because wealthy homesellers and homebuyers want savvy brokers with a network strong enough to open doors, from NY to LA or Miami to Aspen. Buying a home is one of the most emotional decisions we make. With that in mind, we encouraged Elliman to create an online forum for expert advice about everything from mortgages to closing costs to finding the right contractor. The effort cast Elliman as the professionals who truly do know best. A vibrant communications program will elevate brand image by reaching all points of contact. Our idea was to work with Madison Square Garden to carve out the most targeted and visible real estate at New York Knicks games — Celebrity Row. 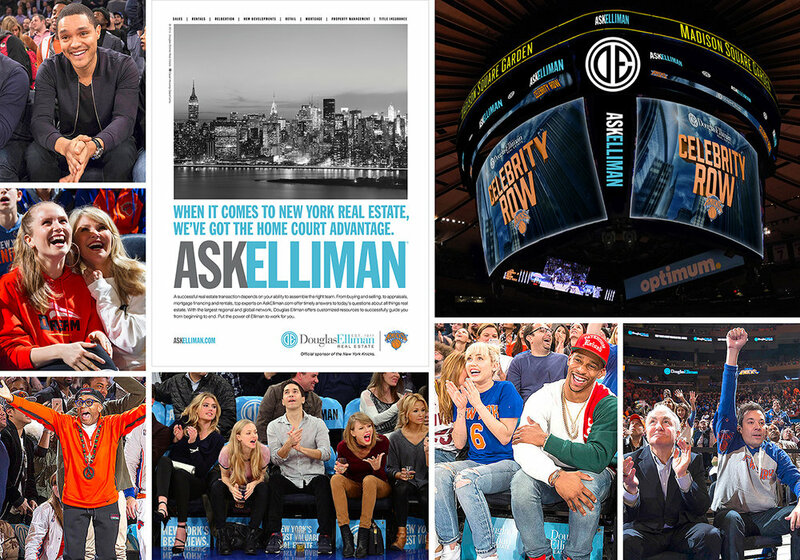 The efforts paid off when we showcased the new Elliman — logo, visual identify, and brand campaign — in front of an elite audience of wealthy celebrities, players, and season ticket holders. 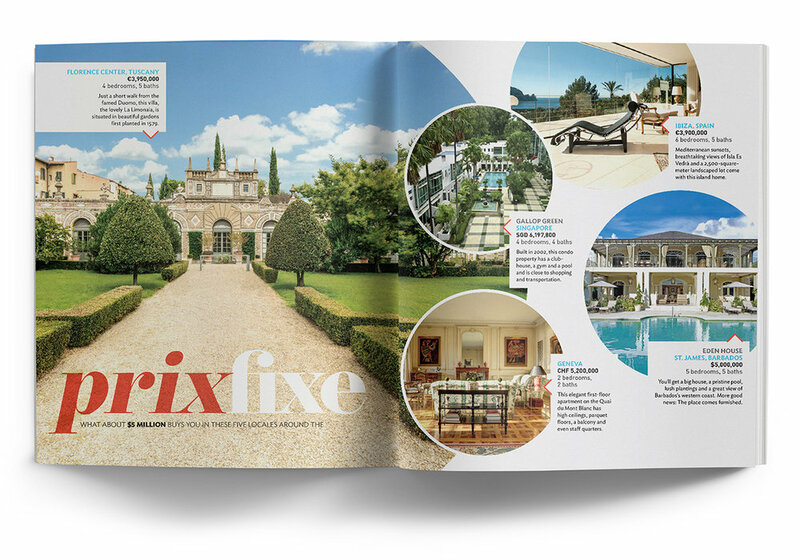 “Create a platform for dialogue to set Elliman apart” — that was the mission that led us to edit and publish Elliman magazine. Taking Elliman to the next level meant getting buyers and sellers to think about Elliman at every stage of their journey. The magazine presented a unique opportunity to remain in front of customers at all times with relevant content that nurtured a powerful impression. 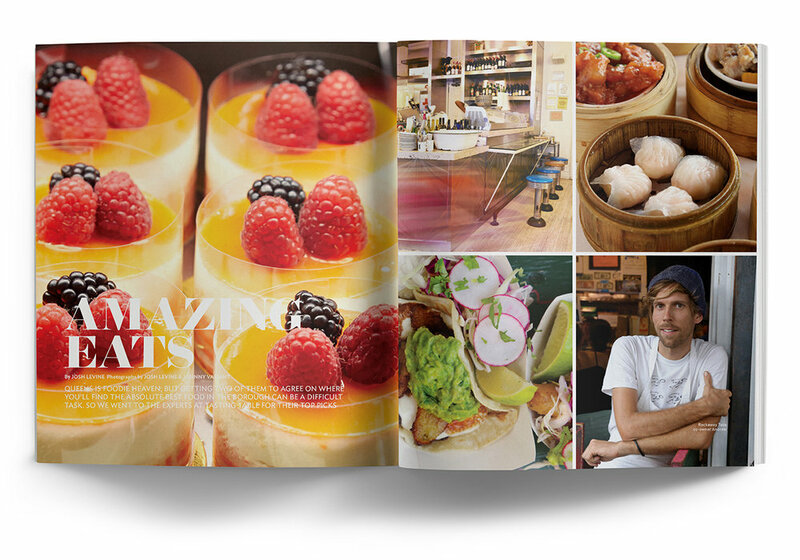 We identified, briefed, supervised and edited dozens of contributing writers and photographers on the way to producing a standout 250-page publication. Taking Elliman national was the first step. Taking Elliman farther called on our experience with and understanding of global wealth today. That meant a message to customers and brokers alike to re-define the neighborhood. We signaled that all the world is now Elliman territory with a bold global cityscape to mark Elliman’s international partnership with Knight Frank.